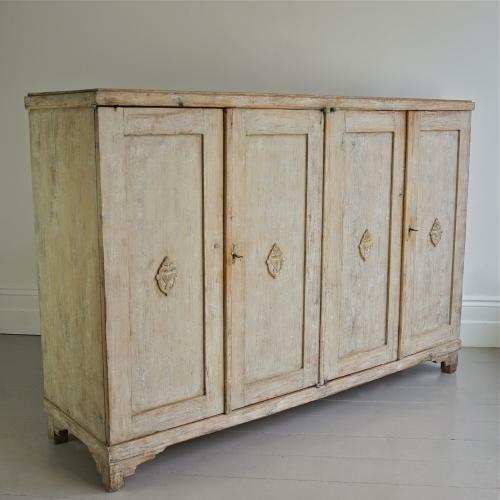 An exceptional and extremely rare four door Gustavian period sideboard hand scraped back to its original 18th century colour. Each door is decorated with hand carved motifs. The interior is fitted with shelves and rare bureau like drawers. An extraordinary, unique, grand scale sideboard that would make a wonderful statement in any room whilst providing an abundance of useful storage. Swedish circa 1790.